We suffer enough because of the pimples on our face. But, what if this unsightly and annoying bump crops up on the ear, or worse, inside the ear? 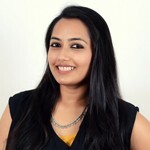 Keep reading to know more about how these pimples form, why they form, and how you can get rid of them easily. Pimples on the ear can emerge on any part of the external ear, behind the ear, and even inside your ear canal. A pimple or acne is a common skin disease that occurs because of excess secretion of oil (sebum) from the skin’s oil glands. The ear pimples, otherwise called as ear zits or ear bumps, are medically called as sebaceous cysts (1). The excess oil traps the dead skin cells present on the outer skin surface and blocks the pores of your skin. It also traps the bacteria and fungi present in the vicinity. As a result of this, a bump or a pimple is formed, which can or cannot contain pus. Blood can also be present in a pimple, leading to a bloody discharge from the ear (2, 3). A pimple or zit in the ear can become uncomfortable and can also cause obstruction in hearing. This is especially the case when the pimple forms in the ear canal, where it can become very painful as well. Usually, the pimples that form on the outer ear are painless. Let’s have a look at some of the most common causes for an ear pimple. Commonly called as swimmer’s ear, this ailment can occur due to swimming in unclean water. The bacteria present in the water cause infection of the outer ear and in the ear canal. Other reasons for this include scratching the ear with unclean objects or getting a tiny object stuck inside the ear (4). Irritation caused due to piercings can lead to the formation of a small bump on the earlobe or in the ear canal, next to the piercing. The dirt, wax, and oil are major components of this. This bump that has formed can develop into a pimple or a boil, and can also become painful (5). The ear canal is sensitive and should not be poked with pins, toothpicks, or any sharp objects. This can lead to infections. Also, unwashed hands, dirty earphones, and unwashed hair can introduce harmful bacteria to the ear. Here, they grow and cause pimples. 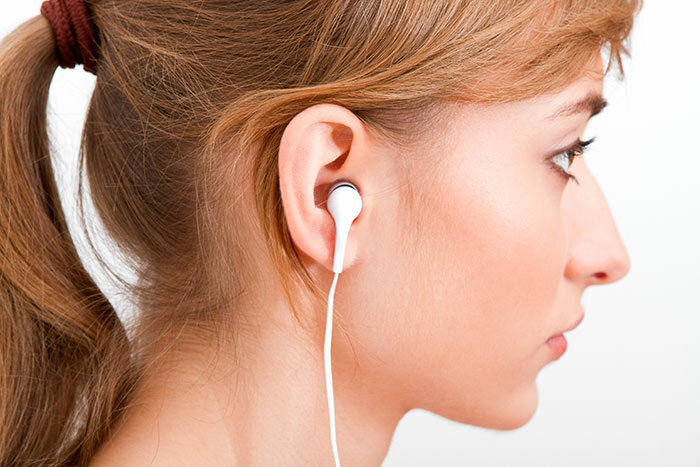 Irritation from the earphones’ material can also cause bumps in the ear (6). Changes in the hormones levels in the body can also result in the formation of ear zits, especially in women (3). A bump of fibrous tissue is formed at the site of injury and looks like a scar. This is called a keloid and is usually seen near ear piercings. Medical advice is recommended for their treatment and removal (5). Chronic conditions such as cancer can also be responsible for the formation of pimples and bumps in the ear. The cancerous cells can be malignant or benign. Please consult your doctor if the bump in your ear does not heal in a week or so, and looks different from a normal pimple (7). Ear pimples usually heal and disappear by themselves within a week or so. If you wish to fasten this process, you can use one of many methods listed below. Always remember to wash your hands thoroughly with antiseptic liquid before touching the ear pimple. Unclean hands can cause the infection to develop further. Read on to know how you can easily get rid of a pimple in the ear. 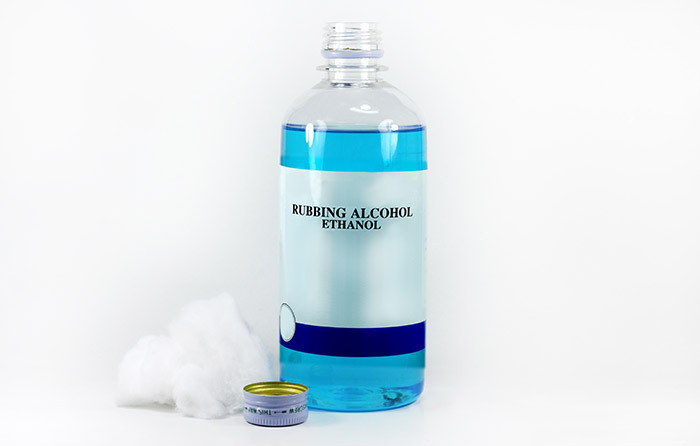 Dip the swab in the alcohol and gently clean your ear and surrounding areas, especially near the pimple. Clean with alcohol twice a day. Alcohol acts an antiseptic agent and prevents the spread of the infection (8). Do not put too much pressure on the pimple. Dip the cotton ball in witch hazel and remove the excess solution. Apply this gently on the pimple and surrounding areas. 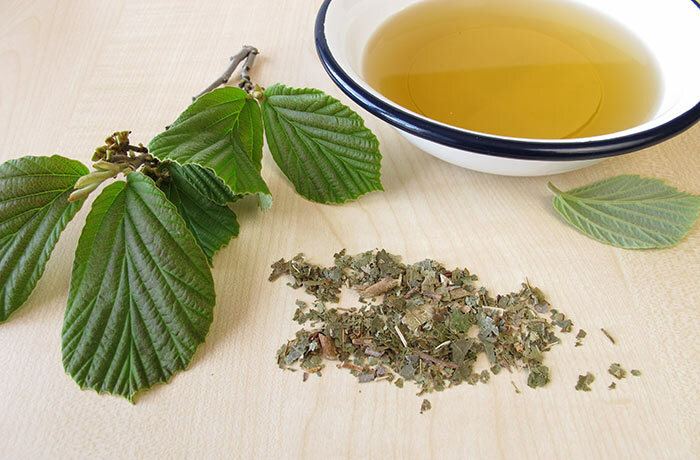 Witch hazel has antimicrobial properties and helps in treating the infection that has caused the pimple (9). Soak the cotton ball in hydrogen peroxide for a minute. Remove and squeeze out the excess solution. Dab the cotton ball over the pimple a couple of times. Apply hydrogen peroxide to the pimple a few times a day. 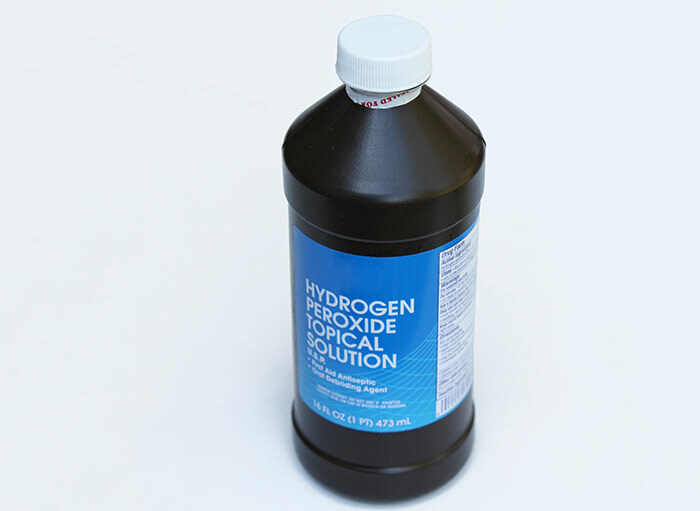 Hydrogen peroxide not only kills the bacteria but also fastens the process of getting rid of the pimple. It has both anti-inflammatory and antibacterial properties (10). Apply the gel on the pimple and let it dry. 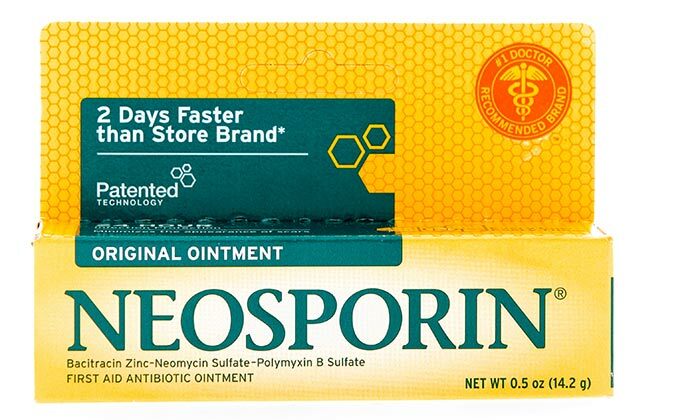 Neosporin helps in treating the infection and also drying up the pimple, as a result of which it heals faster (11). Apply the cream on the affected area and let it be. Do this twice to thrice a day. 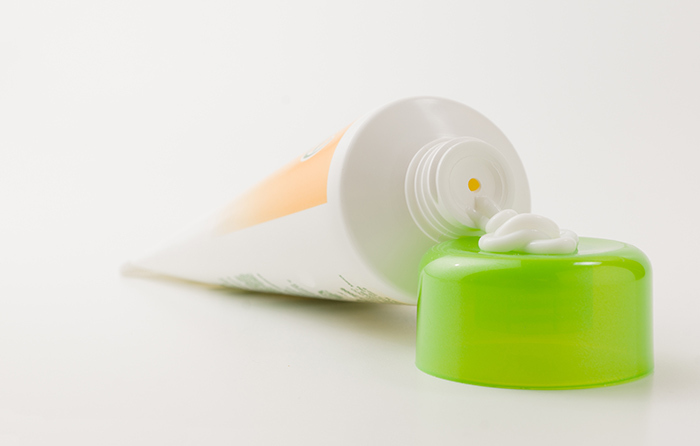 The benzoyl peroxide present in the acne cream is an antiseptic agent and kills the bacteria causing the infection. 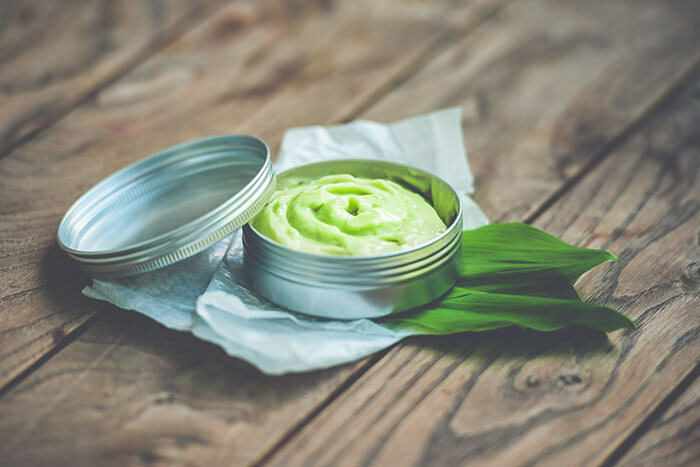 Acne creams also contain other components that help in quick healing of the pimple (12). Wash the pimple gently with hot water. Keep the temperature of the water as high as you can bear it, but scalding hot. Now, wash the pimple with the oil-free cleanser. If your pimple is inside the ear, use a hot washcloth and Q-tip to wash it. Salicylic acid present in the oil-free cleanser helps to unclog the pores and heals the pimple faster (13). Lightly press the garlic cloves and heat them in the oil. Warm the mixture on low heat till the cloves turn black. Strain the oil and let it cool to lukewarm temperature. Apply this oil on the pimple on the outer ear and leave it. For a pimple inside the ear, pour two to three drops of the oil in the ear, and let it stay in there for a couple of minutes. 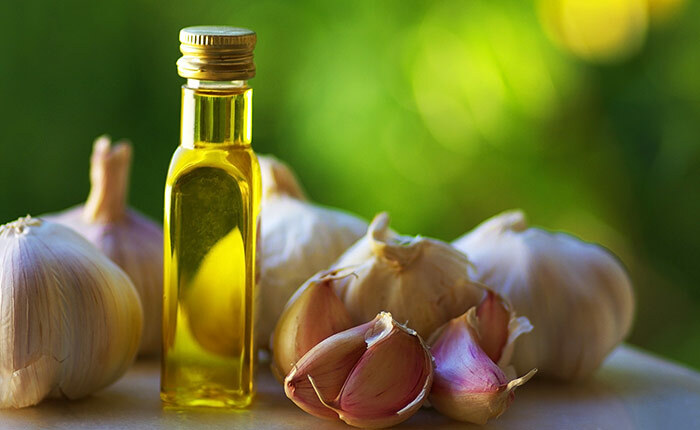 Garlic has antibacterial properties and is also commonly used to treat pain (14). The pain will reduce, and the ear zit will soon disappear by using this method. Crush the basil leaves to extract their juice. With the help of a cotton ball, apply this juice to the ear pimple and surrounding area. You can pour two drops of the basil juice for a pimple inside the ear canal. 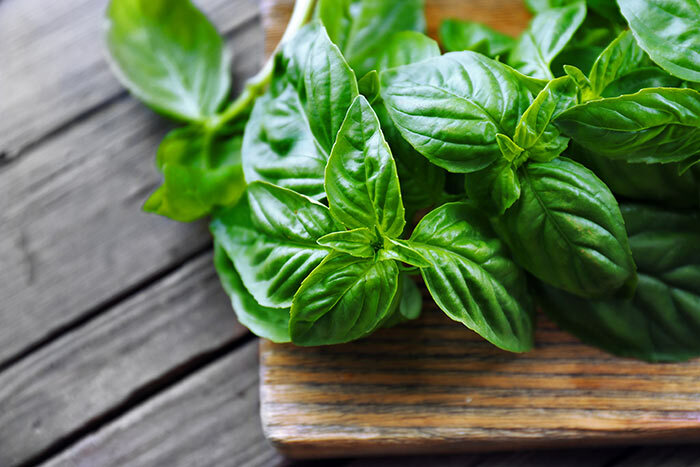 Basil is an age-old herb that has been used to treat infections because of its antibacterial properties (15). It is an excellent home remedy to treat ear pimples. Soak the cotton ball in the vinegar and wipe it over the pimple. Leave it on for a minute or two. Wash with water. 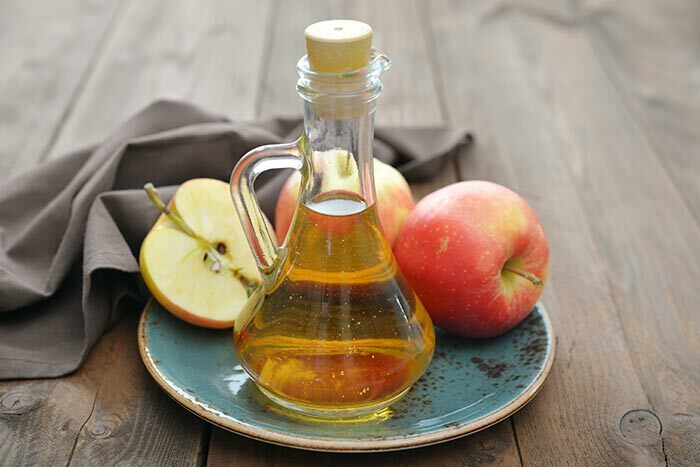 ACV acts as an astringent and has antibacterial properties. It treats the infection and also opens up the clogged pores (16). This helps in getting quick relief from the pimple. Dilute the tea tree oil with water and mix well. Apply this to the pimple with the help of a cotton ball and let it be. 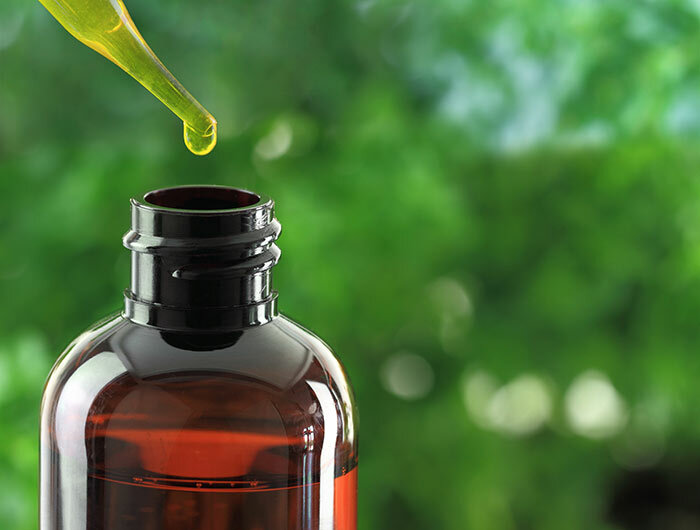 Tea tree oil has antibacterial properties. Applying it on the pimple will help in quicker relief from the infection and also aid faster healing (17). Cut the onion in half and heat for a half a minute to one minute on the gas stove or in the microwave. Wrap the cheesecloth around one of the halves and place this on the infected ear for 10 minutes, or till the onion cools down. You can also extract juice from a crushed onion and apply on the ear pimple or pour two to three drops in the ear. 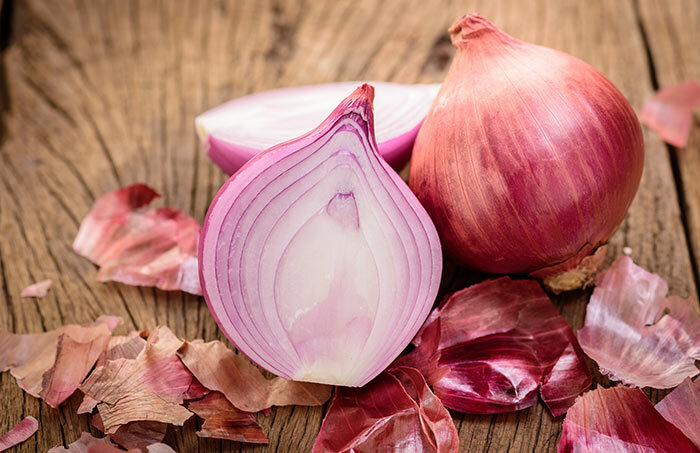 Onions are known to kill all microbes in their surrounding and also absorb the harmful chemicals (18). When you use an onion to get rid of an ear pimple, you not only treat the current pimple but also prevent recurrent infections. 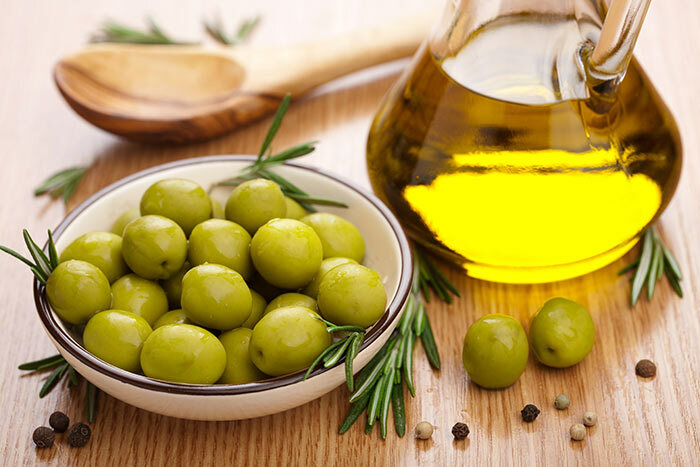 Warm the olive oil and with the help of the dropper, pour two to three drops into the ear. You can also apply it topically on the ear with the help of a cotton ball. 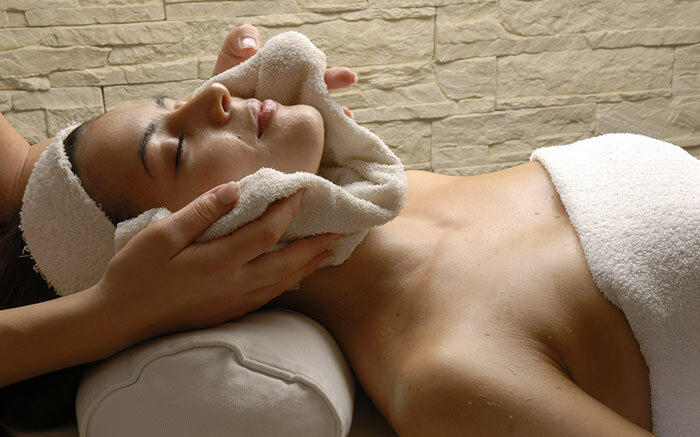 The warm oil dissolves the wax and the dirt at the site of the pimple and opens up the pores (6). This helps in quicker healing of the ear zit. 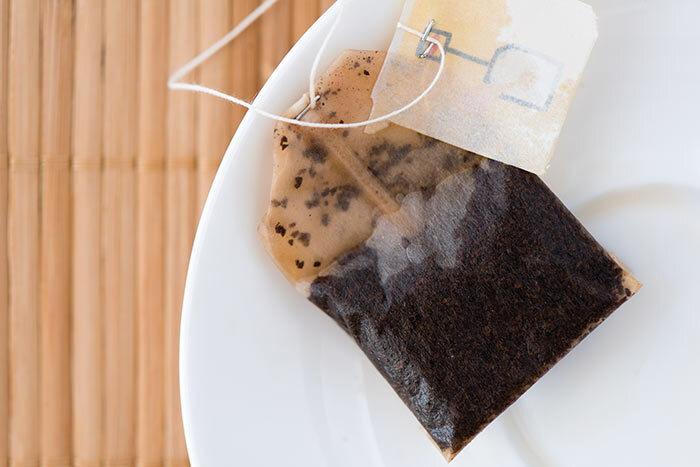 Dip the tea bag in hot water for a minute. Remove the excess water and place this on the pimple. You can additionally cover with a warm compress or warm washcloth. Leave it on for 10-15 minutes. The tannins present in the tea along with the warmth of the hot water help in reducing inflammation (19). Soak the cloth in the hot water, take out and wring out the excess water from it. Place this warm compress on the pimple for 10-15 minutes. The warmth of the washcloth helps in the quicker head formation of the pimple, after which, it is easy to pop it. This also helps to relieve the inflammation in the affected area (20). When it comes to popping that disgusting and annoying pimple in your ear, there is only one thing we can advice – “Don’t do it!” Popping a pimple may introduce more bacteria to the site and cause further complications, and even sepsis. It can be very painful and in the case where you are unsuccessful in popping it, the pimple might become bigger and lead to scarring when it finally heals. Now that you know how to get rid of an ear pimple, what are you waiting for? Use one of the many medicinal and natural remedies suggested by us to get rid of them. These will not only fasten the healing process but also prevent future ones from cropping up. It is always advisable to consult a doctor if the pimple does not heal in a week or so. Have you experienced a pimple in your ear? How did you get rid of it? Did you use any of the remedies suggested by us? Do let us know in comments below.